A request from New Hampshire Senator Maggie Hassan to investigate loot boxes has been approved by the FTC. Loot boxes continue to be a controversial subject for gamers and parents alike, with a recent study from Great Britain’s Gambling Commission finding that up to 31% of children have spent money on loot boxes at some point in time. New Hampshire Senator Maggie Hassan cited this report at a Federal Trade Commission (FTC) hearing yesterday in an appeal to have loot boxes investigated in the United States. “Loot boxes are now endemic in the video game industry and are present in everything from casual smartphone games to the newest, high budget releases,” Hassan explained before requesting that the FTC conduct an investigation of loot boxes. “Given the seriousness of this issue, I think it is in fact time for the FTC to investigate these mechanisms to ensure that children are being adequately protected and to educate parents about potential addiction or other negative impacts of these games.” FTC chairman Joseph Simons agreed to Hassan’s request; although, whether this will lead to further action against loot boxes remains to be seen. It’s worth noting this isn’t the first time loot boxes have come under fire in the United States, as the Entertainment Software Rating Board (ESRB) updated their labels earlier this year to include an “in-game purchases” warning. What’s more, countries like the Netherlands, Belgium, South Korea, and Japan have all made efforts to crack down on the loot box issue. Some may argue that you aren’t forced to spend money on loot boxes, so what’s the big deal? Meanwhile, others will point to compelling comparisons that have been made between loot boxes and gambling. 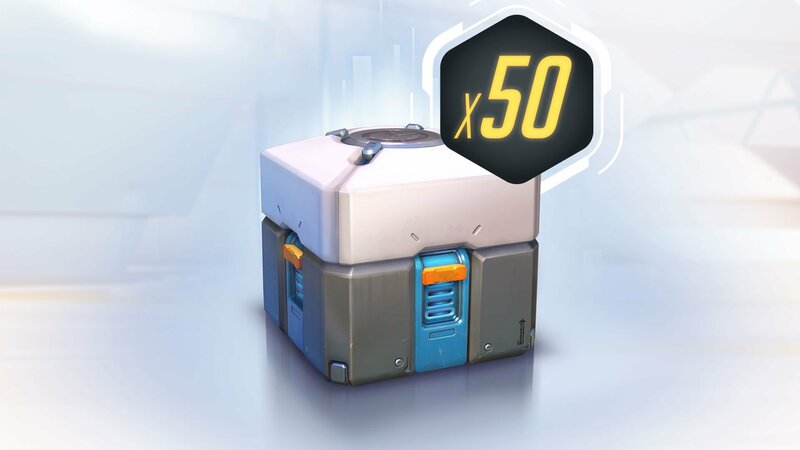 One of the main drawing points is that, because loot box drops are primarily RNG in nature, even the most transparent practices can still feel like a form of gambling. Loot boxes are commonplace in popular games like Overwatch, Paladins, Star Wars Battlefront II, and Rocket League. Game publishers make a lot of money through loot boxes, hinting that they may become more commonplace as time goes on. Should guidelines be put in place to limit the use of loot boxes? Maybe, though that’ll largely depend on how loot boxes are defined by institutions like the FTC. We’ll update this article with the FTC’s findings as they’re made available. We want to know what you think. Are loot boxes a form of gambling, or are investigations like the one underway by the FTC a waste of time? Let us know down in the comments below!